Be prepared for math and geometry classes with this 10-piece Math Set in Carrying Case. 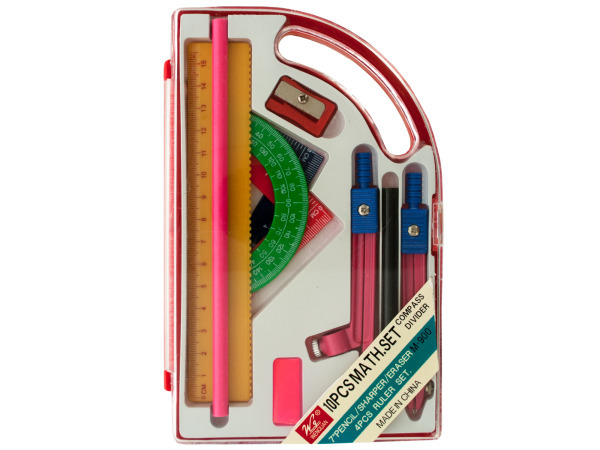 Set includes a compass, divider, 3.25" pencil, 4 rulers, 7" pencil, eraser and sharpener all in a carrying case with a hole for easy holding. Available in assorted colors. Comes packaged in a poly bag.